Growing your own food and taking care of your land is something high on every homesteader’s list. We take great enjoyment and satisfaction by growing our own food.. but we really get excited when we learn how to make our plants even healthier and more vigorous with a few simple tweaks. Today we’re talking how to test soil ph & amend acidic or alkaline soil to get the healthiest plants you can, because healthy plants mean less work, can I get an amen! And maybe more important, mistakes to avoid. 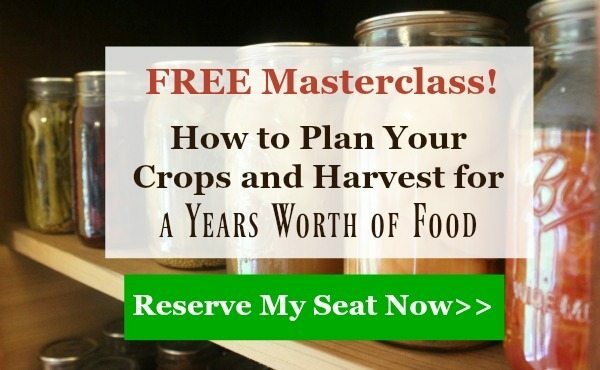 This is Part 2, if you didn’t catch Part 1, go here now to get the 6 Natural Fertilizers to Improve Your Garden Soil & Increase Your Harvest with Healthier Plants and the basis of what we’re building on today. Listen below to Episode #135 of the Pioneering Today Podcast,where we teach families how to grow, preserve and cook their own food using old-fashioned skill sets and wisdom to create a natural self-sufficient home, with, or without, the homestead. The first thing you need to know is if your soil is acid, neutral, or alkaline. Different plants will thrive in different soils because the correct soil ph for each plant allows it to absorb the needed nutrients to grow and thrive. The most accurate, letting you know the exact ph level, is going to be with a lab test. Most county extension offices will test your soil (except mine, last time I called in they didn’t offer it, hoping that changes some time soon). This option will give you not only your ph level, but also the levels of other minerals and nutrients in your soil. If you’re only after the ph level of your soil, these handy little meters are pretty in expensive, less than $15 and allow you to test multiple spots in your garden, containers, etc. Grab this 3-in-1 soil meter to test away. I haven’t used the DIY at home testing method, I already know the soil in the Pacific Northwest is slightly acidic due to the needles from the evergreen trees and our heavy rainfall. There are two main ways to amend the ph level of your soil (but no worries, I’ll share some alternatives we’ve used with good success, because I’m friendly that a’way). If your soil is alkaline and you need to make it more acidic, use elemental sulfur. Organic gardeners use elemental sulfur to decrease the ph level (remember, the lower on the ph scale the more acidic). Take care you use elemental sulfur and not aluminum sulfate when purchasing. Important caution note: When lowering the ph level of your soil to make it more acidic, never try and lower it more than 1 ph level in a given year. Take care to read the instructions on the sulfur you use to make sure you don’t apply too much and if needed, do 2 applications over the year instead of all at once. This is a slow level long term process, have patience and be the turtle here. Other options for increasing acidity is the use of peat moss. Which ever of the above mentioned soil amendments, it’s best to work it into the top 6 inches of soil. You can do a top dressing where you just sprinkle it on, but it’s not as efficient. You can also use wood ash to raise the alkalinity of your soil. A word of caution: no matter what you’re using to amend your soil, it’s important you understand how it works, what your current levels are, and the appropriate amount to use for YOUR soil based on the tested levels. This is an area of great debate with gardeners. The short answer is no, using used coffee grounds isn’t going to significantly raise the ph level of your soil. BUT using coffee grounds can be a great soil builder and natural fertilizer. This study done by a Lab for Sunset magazine has a great break down of how coffee grounds improve your soil. Most notable is the phosphorus, potassium, magnesium and copper levels. I have used coffee grounds for years on my blueberries, raspberries, and tomatoes. One key thing to note is to make sure you spread them out in a thin layer and work it into the soil or mulch. It’s also recommended by Sunset’s tests to keep the coffee grounds to 25 to 35% volume when mixing it in with your mulch or soil. If you don’t want to deal with changing the ph level of your soil, then simply pick the plant varieties that naturally grow well with your soils ph level. Most plants will get along fine with ph levels between 5.5 and 7 without too much of an issue. There are some exceptions to this generality (isn’t there always) so I’ve listed out the plants below for you that really need the higher acid levels to grow well. Of special note is blueberries, they are one of the most acid soil loving plants out there. If you’re planning on raising as much of your own food as possible, you don’t want to be limited to the plants that only grow well in one type of soil. No my friend, you and I, we want all the goodies in our larders come winter. What’s a homesteading peep to do? The strategy we use here on our homestead is to micro-manage the soil ph levels according to the crop. Say what? Let me break it down. I plant my high acid loving plants together so I’m only amending the soil for acid in one area. This is my variation of companion planting based on soil preference. I plant my rhubarb between my blueberry plants and my raspberries are one row over from my blueberries. Because these are perennial plants, they’re staying in the same soil and spot year after year, I amend the soil once in the spring by adding fir mulch. This doubles as my mummy berry (a fungus that infects blueberries) protection as well as moisture retention in the summer months (blueberries have shallow roots). When I plant beets, I add a small amount of wood ash to that row only. When I go to plant something else there the next year, the ph level has pretty much went back to it’s normal slighty acidic range. Because our soil is slightly acidic we use lime to alter the ph of the soil every few years. Generally, we do it about every 2 to 3 years in the early spring. For pasture amendment, you’ll do a top dressing method, because we’re not going to disc up our field. We use a hand push Broadcast Spreader to evenly distribute the lime over the pasture. We don’t have a tractor so this is a low cost entry way to spread it out more efficiently than doing it by hand.. and more easily, score! It’s important we keep our pasture soil in tip top shape as its the building block for the feed our animals eat and ultimately, we eat come harvest time. Are there any methods you’ve found to be effective or work well in your garden and homestead? 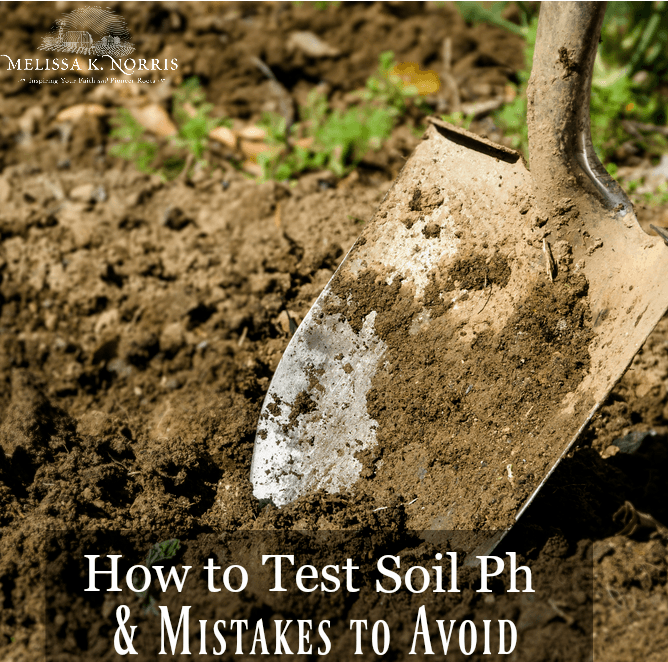 You read How to Test Soil PH first here! Make sure you reserved your seat and I can’t wait to see you in class.